We may be on a trip through the desert Southwest, but our last couple stops centered around water. The two campgrounds couldn’t have been more different; one was an all-time favorite, and the other was a real dud. The part that cracks me up the most it that I had read some bad reviews about the one that we ended up loving, and the whole rest of the world adores the park that we hated. As we travel, we’re learning that we just have to experience a stop for ourselves before we can make any judgements! Three Rivers Campground was a bit out of the way, but the area included a couple to-do items that I’ve been interested in for years. 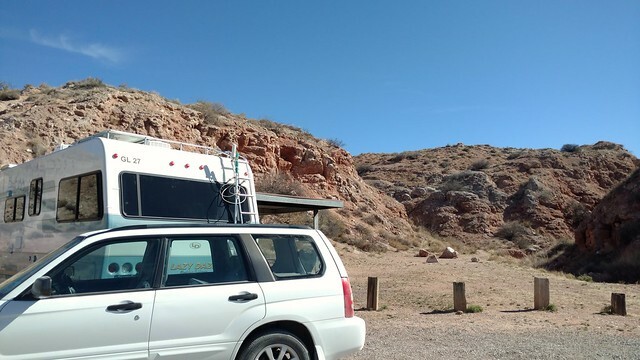 The campground was a true gem, with well spaced sites up at 6,000 feet, thick with pinon and juniper. There were clean and well stocked vault toilets, bear-proof trash cans, and plenty of water spigots. Plus, all the other campers were quiet as mice, and the night skies were perfect. For $6/night, this was a deluxe Forest Service find! 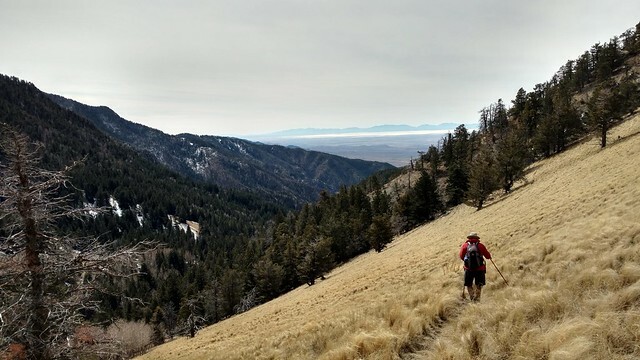 The main event was Three Rivers Canyon Trail, a beast of a trail at 12 miles round trip, and 3,300 feet of elevation gain. 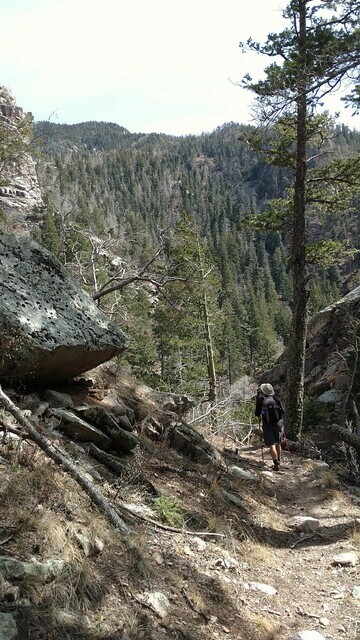 It was an exceptionally well laid out trail, with easy water crossings and perfectly engineered switchbacks that made the incline a breeze. 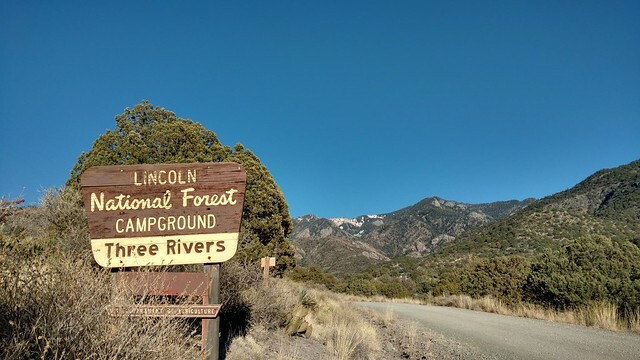 The route follows a stream up to alpine meadows and views over White Sands National Monument. 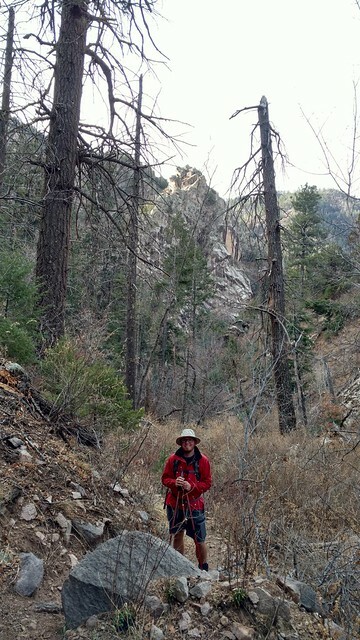 We saw not a single human for the first 6 hours of hiking, but did see a flock of turkeys and a herd of elk. 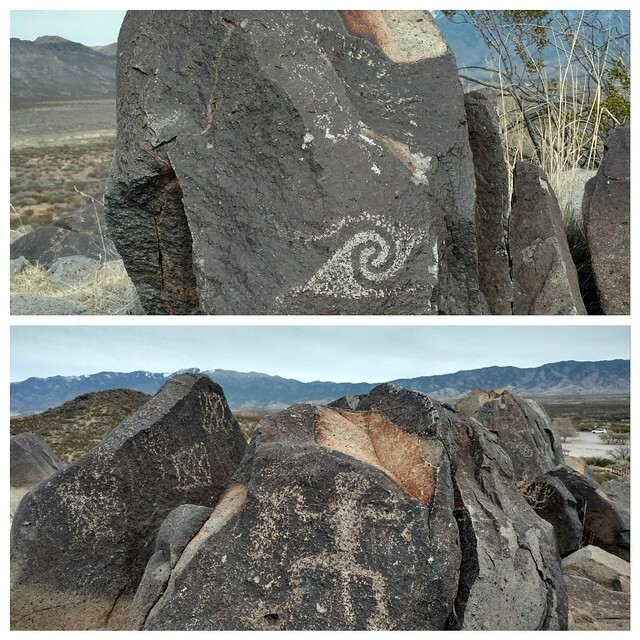 Just down the road was Three Rivers Petroglyph site, set aside just for the astounding number of petroglyphs made by the Jornada Mogollon. 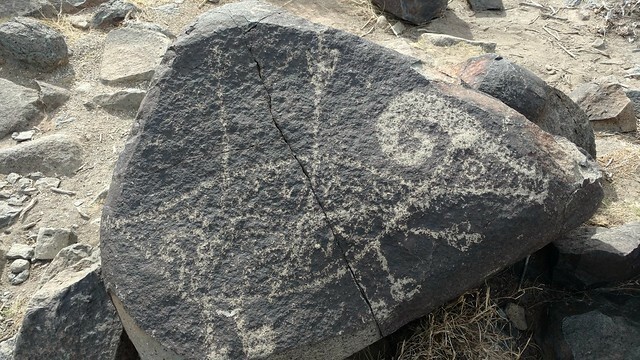 More than 21,000 petroglyphs were created between about 900 and 1400 CE, and they are still dazzling and vivid. 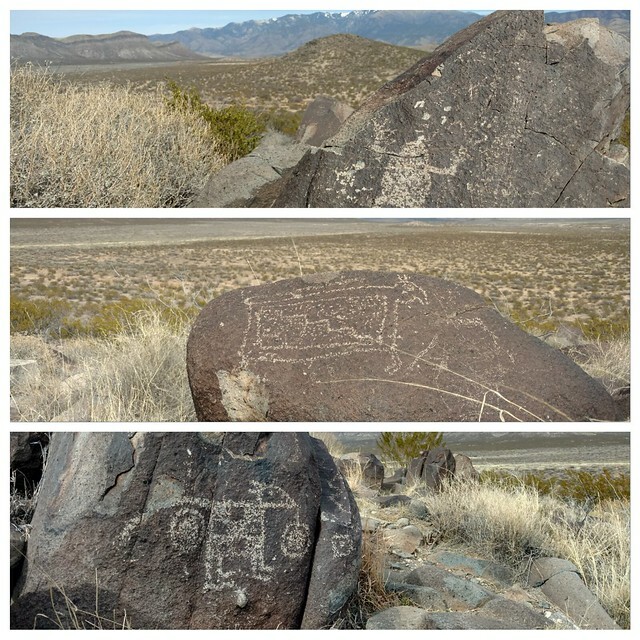 I loved that the trails wind between the rocks, giving you intimate access to the images. 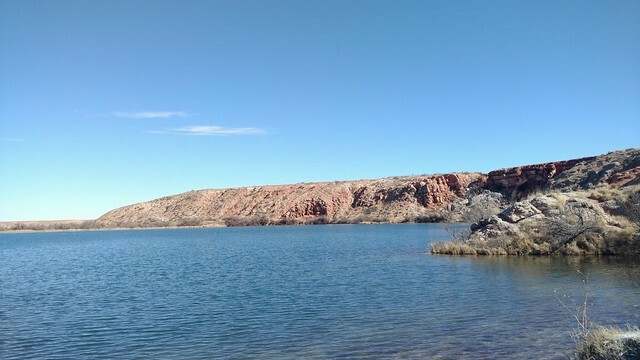 The weather was predicted to get a bit ugly, with high winds and snow, so we headed to the (much lower in elevation) alien outpost of Roswell, NM, to use our state parks pass at Bottomless Lakes State Park. 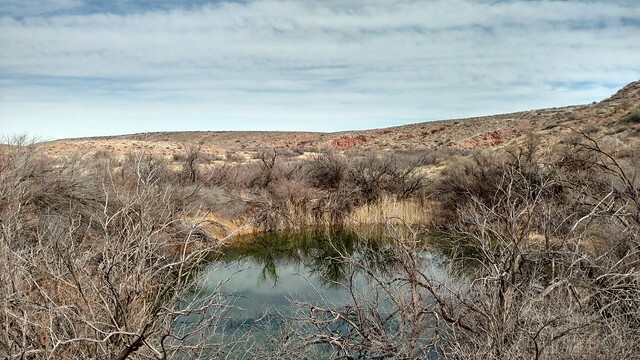 It’s New Mexico’s first state park, a line of deep blue sinkholes formed when underground water collapsed the limestone above, and it sounded really promising. But, this was an example of a situation where we do not agree with the crowds. We made one pass through the park, and I wanted to cry. 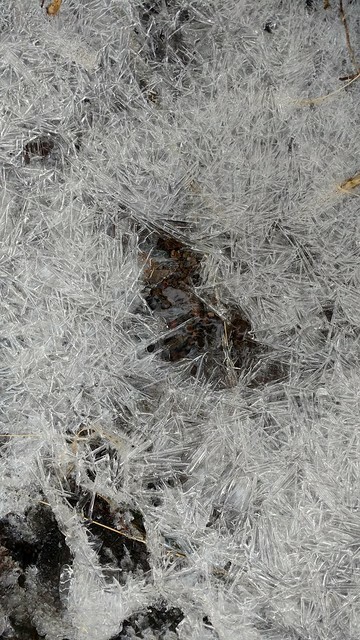 The sinkholes looked like quarries, and the land around them was salt crusted and barren. But, we decided to stay a few nights to get past the bad weather, and we focused on getting our taxes done for the year. Soupy, on the other hand, adored it here, with plenty of space to roam around the in the canyon behind our site, and oodles of lizards to chase and sniff. I have to admit, it was nice to be laying out in the sun, while the mountains just 60 miles away were getting pounded with snow. We’re moving a bit faster than our normal pace of one place per week, because there’s so much we want to do before we head back to work. 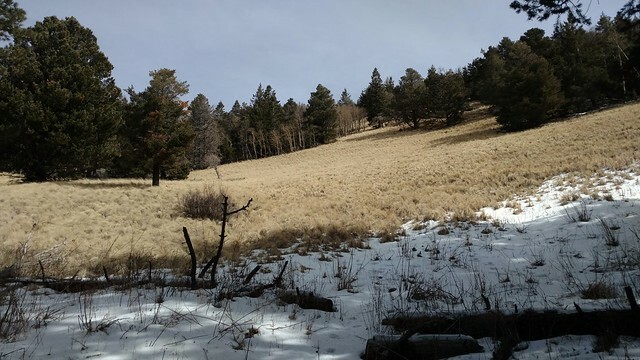 We really want to see some of the mountainous areas of New Mexico, so we’re going to get out our winter coats and start heading up! This entry was posted in Uncategorized by Rayn Case. Bookmark the permalink.